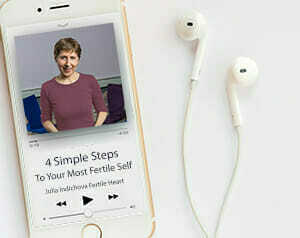 This presentation offers an introduction to the Fertile Heart way of working with images as powerful tools of the Fertile Heart Ovum Program and an important part of your self-healing regimen. The sequences on this program evolved through Julia’s personal experience and through her work with the women and men in her workshops and private practice. This CD includes 18 imagery exercises. Audio CD or digital download. 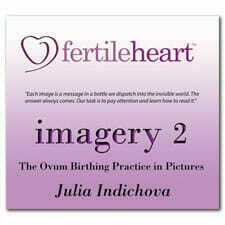 Fertile Heart® Imagery is one of the central tools of the Fertile Heart™ Ovum fertility and birthing practice (aka the I.B.O.W. 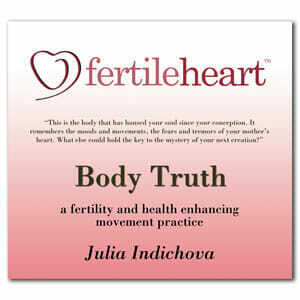 practice), a healing modality that emerged through Julia Indichova’s personal experience and through her work with hundreds of women and men in her workshops and private classes The discussion, instructions and eighteen imaginal sequences on this program offer an introduction to the Fertile Heart™ way of working with pictures. The images imprinted within us are the building blocks that affect our biology, our relationships, our circumstances and overall direction of our lives. The sequences of the Fertile Heart™ Imagery practice are meant to cultivate our ability to see the not-yet-visible; to separate the pictures that serve us from the ones that impede our growth and creativity. 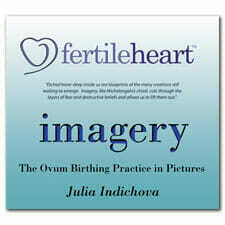 The Fertile Heart™ approach to imagery evolved for Julia Indichova through years of working with individuals and groups, into one of the central tools of the Ovum Birthing Practice. Thousands of women and men have found this practice useful in overcoming allegedly insurmountable obstacles. The visualizations can be used as powerful medicine in their own right, or in conjunction with no-tech, low-tech, and high-tech treatment options. May this way of working with images support you in becoming your own strongest ally, may it guide you in discovering that you are more fertile than you ever imagined! 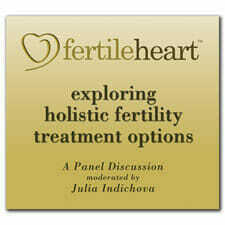 Copyright ©2001-2018 Julia Indichova and FertileHeart.com All rights reserved.